The 2018 Holiday Season is upon us and Lancaster Marketplace is ready to be your local source for gifts, party foods, desserts, ingredients for your dishes and more! With a wide array of options you can do a load of local shopping at the Lancaster Marketplace this holiday season. NOTE: Extended hours this holiday season starting after Thanksgiving! Not sure you have time to prepare a feast? Let the standholders at Lancaster Marketplace help! Chef Bushra Boutaleb masterfully blends the vibrant flavors of Morocco and India to bring an array of exotic specialties to Lancaster. Using fresh ingredients from local Lancaster farms and special spices imported from Morocco, Bushra re-creates the beloved dishes she grew up with in Morocco. Try the delicious Bastilla pie, Elegant Tagines with melt-in-your-mouth chicken or lamb, delicately spiced couscous, savory organic soups, as well as the beloved Moroccan pancake Beghrir and from India, savor delectable classics including Biryani, Karahi Chicken, Goat and Lamb, Samosas, Rasmalai, Mango Lassi and a wide variety of Hors d’oeuvres. Flavors of Morocco provides catering for a variety of events and budgets. Serving some of the best food the Latin culture has to offer! Offering an assortment of Latino dishes with an artistic flair to bring you Lancaster's "Latino experience. 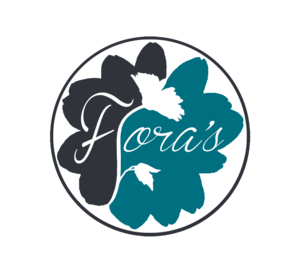 The menu is varied to Flora's discretion allowing her to present a large variety of the “Latin fusion” cuisine which features dishes from Colombia, Peru, Cuba, Dominican Republic, Brazil, Puerto Rico and more. Offering dine in, carryout, catering, private events, and personal chef services. All of the best Thai and Asian cuisine that you can imagine! Explore the full array of Thai dishes from noodles to rice, savory to spicy. If you are a fan of Thai peanut sauce, then Yaya’s House of Thai is a must. Prepared meals to go are waiting for you! Stroopies are a dutch cinnamon waffle cookie with a layer of homemade caramel in the inside and are designed to be enjoyed with your favorite hot beverage. Add in a full-line of coffee drinks, including espresso, macchiatos, lattes, fresh brewed from Lonely Monk Coffee, a local and single source coffee roaster with your fresh Stroopie and you are sure to be delighted. Refillable Stroopie tins make perfect gifts and large quantities can make for a great treat at your holiday events! These made from scratch cookies will leave your mouth watering! The combination of ingredients gives each cookie a thick consistency with a light, crispy brown crunch on the outside, followed by a gooey, chewy inside that melts in your mouth. Using Wilbur Chocolate, local free range eggs and no fake sugars or Crisco is used. They also have at least four flavors of edible cookie dough available! Large orders are welcomed! Makers of fresh, quality chocolates in Lancaster County since 1875. They take pride in using all-natural ingredients, such as pure vanilla, real butter, and fresh cream, with no added preservatives. Their rich chocolate is made with real cocoa butter, and all of their fruits and nuts are hand-dipped the old-fashioned way. Perfect for gifts and for taking to events and gatherings! Divine pastries from Eastern Europe! Tanya’s offers a full array of delectables from macarons to European pastries. They also carry muffins, croissants, scones, bread and more! Tanya’s is a new edition to the Lancaster Marketplace, opening on November 14. From this family-owned farm in Lititz Pennsylvania, you can buy the freshest fruits and vegetables around. Harvest Lane Farm specializes in strawberries, tomatoes, lettuce, sweet corn, peaches, watermelons and more. In addition, Harvest Lane Farm sources a full line of produce from the best of what is available all year long. Healthy eating is made easy with fresh great tasting produce. Feizal Fakier at Pure Palate Organic has a simple mission, to promote dairy foods that are healthy, natural, and organic. All product offerings at Pure Palate Organic are sourced directly from local Lancaster farms with sustainable farming practices. From butter to milk to ice cream, add Pure Palate Organic to your list for all of your organic dairy needs. All of their products are made in a 100% dedicated gluten free facility. They do regularly use EGGS, TREE NUTS, DAIRY, FLAX, & SOY PRODUCTS on shared equipment. Breads include Sunflower & Honey, Cinnamon Raisin, Four Seed, Caraway & Molasses, Local Maple & Oat and more. In addition, they offer dinner rolls, flatbreads, pizza crusts, and vegan breads. All of the breads you crave, made fresh and ready for you. From Organic Sourdough and Organic Whole Wheat, to Multigrain, Spelt, Cinnamon Raisin, Organic Maple Oat, and more. They shape the bread by hand and follow artisan standards for ingredients, slow dough development and labeling. Their breads contain a high percentage of fiber, providing a fiber/carbohydrate ratio that is healthier than commercial bread. With a wide selection of spices and seasonings for any food lover and dozens of choices for any tea enthusiast, it’s easy to Find Your Way To Flavor® at The Spice & Tea Exchange.®. They offer exclusive hand-mixed blends, naturally-flavored sugars, an assortment of salts from around the world, and an array of exotic teas. They focus on providing high quality products to home cooks, chefs, and tea lovers. Visitors will be immediately immersed in a sensory experience where they can explore, open the jars and smell, and speak with knowledgeable staff who truly love what they do. We also offer hot and iced teas to go! Lancaster Pickle Company is a locally based business in Lancaster County since 2013. They are a unique pickle company because of using a hydroponic system to grow their cucumbers and engaging in a unique pickling process. They use only the finest local ingredients to make and season the pickles all of which contain no harmful preservatives. The most popular flavors are the famous horseradish chips and Garlic and Onion, but the best flavor is the one that makes you happy. Products that keep it… Real. Clean. Simple. Natural. They care about the impact their products have, not only on you, but in your home. They care about what can and can’t be reused, and what ends up in the trash. They also really care about where their ingredients come from. Top priority is that they come from THIS country. Many of the herbs are grown right outside the shop doors. They live by two very simple but powerful motto’s; Nothing unfriendly here. Eat Clean.